Firefox is rolling out a new feature as part of a browser update available from today that it says will give users more control over the data they choose to share with third-parties online. 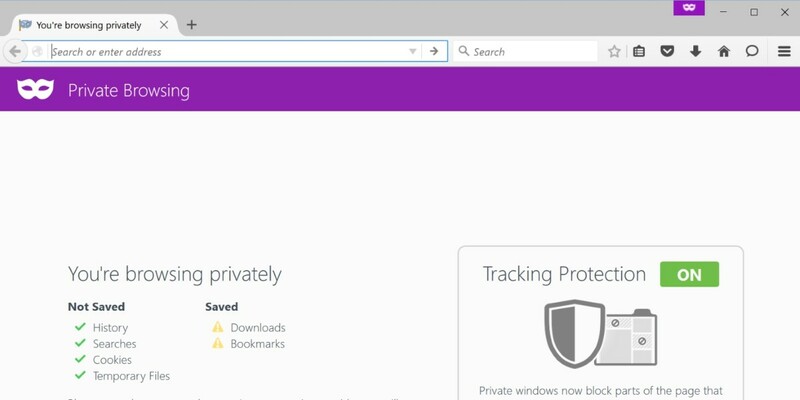 With privacy a hot topic in tech and Firefox a long-time supporter of initiatives like ‘Do Not Track’, the organization is once again touting itself as the only player in town if you want secure browsing. “With the release of Tracking Protection in Firefox Private Browsing we are leading the industry by giving you control over the data that third parties receive from you online. No other browser’s Private Browsing mode protects you the way Firefox does—not Chrome, not Safari, not Microsoft Edge or Internet Explorer,” Mozilla says. The new version is available across Windows, Mac, Linux and Android. Mozilla says the feature will automatically block things like ads, analytics trackers and social share buttons that could be tracking you across sites without your knowledge. Alongside the Tracking Protection, there’s also a new Control Center for keeping all the site security and privacy controls in a single place. It’s here that you can choose to turn off tracking protection for specific sites, if you’d like. Rounding off the updates is a new set of animation tools for Firefox Developer Edition.